Breast pumps are a convenient way for Mums to express anytime, anywhere. Here’s our pick of 7 breast pumps that’ll suit Mums from all walks of life. Breast pumps are an essential tool for any breastfeeding Mum. But with all the different types of breast pumps out there, how do you find one that suits your needs? Don’t worry, we’re here to help. One of these top seven breast pumps on the market will definitely help you milk every drop of that precious liquid for your little one. The first step to finding the perfect breast pump for you is to ask yourself – manual or electric? Confused? Here are some questions to guide you to the right one. How often will you be pumping? If you do not foresee yourself expressing often, you can probably get by with a manual breast pump. However, if you are planning to express and store your breast milk, an electric pump will be more efficient. Still, some mums find that they can express more milk with a manual pump than with an electric one (Editor: I was one of them) – so find what works best for you. Will you be returning to work? Working mums may need to express more regularly and quickly, so electric breast pumps will suit them better. Pro-tip: you may want one that’s quiet too, if you are going to be expressing your desk. If you are a stay-at-home mum, or are still on maternity leave, you’ll probably be with your baby more and can latch on. You can consider manual breast pumps for those short periods of time when you are away from Bub. How much time do you have? Electric breast pumps can express milk a lot more quickly than manual pumps. If you’re often on the go, or plan to store multiple bottles of milk, then an electric breast pump would better suit your needs. However, if you’re looking to pump as a complement to latching on, a manual pump is fine. Electric breast pumps are a great choice for mums who need to express daily. If you’re planning to head back to work, an electric breast pump will be the most efficient option for you. Busy mums who are short on time may also find an electric breast pump more convenient. It’s also important to consider if you need a battery-operated pump if you’re constantly travelling or on the go. 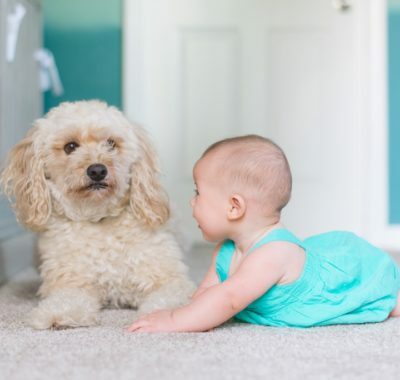 Hegen’s been making waves lately in the baby industry – and for good reason! This homegrown label has created some of the most innovative products we’ve seen. The just-launched Hegen PCTO Electric Breast Pump is its newest – and most exciting – addition. It’s the world’s first relaxation breast pump, giving you a massage as you pump! What we love: Obviously, the relaxation function – a world first. Simply detach the ring attachment, and the pump becomes a mini kneading massager! You can opt to massage your breasts before pumping to help with letdown, or after, to soothe tired muscles. We also love how compact and portable this breast pump is. Weighing no more than an iPhone, it is a cinch to pack in your office handbag. And it comes with a micro-USB charging port so you can charge on the go with a power bank! 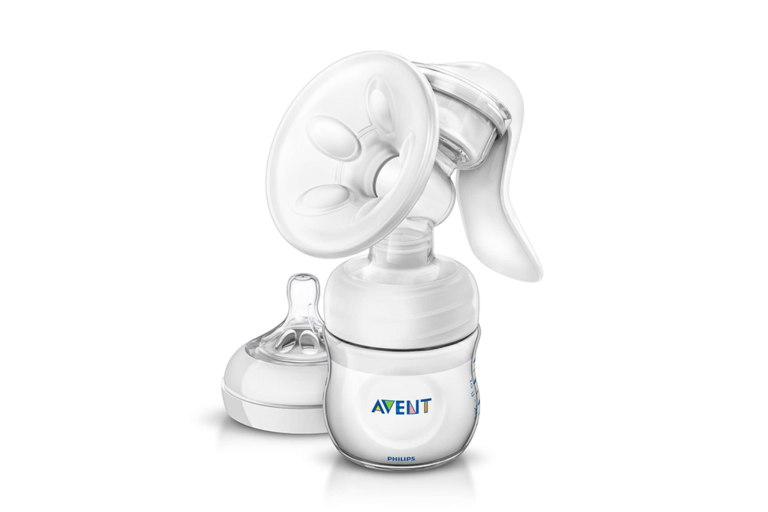 Pair with Hegen bottles at home for seamless transition from pumping to storing to feeding. Considerations: As this electric pump is the first from Hegen, it hasn’t withstood the test of time yet. 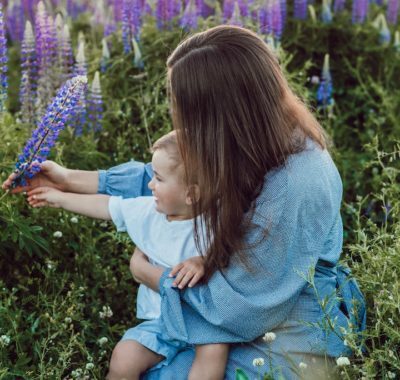 Mums who don’t have Hegen’s “ecosystem” of bottles, attachments, and teats may find it tricky to incorporate with their other breastfeeding accessories. While the Hegen PCTO Electric Breast Pump works as a double pump, you’ll have to get the manual pump (see below, under manual pumps) as well for both flanges and bottles. This may be a hindrance for budget-conscious Mums. The Spectra S2 Breast Pump is an efficient, powerful breast pump for mums who express often. Like other Spectra pumps, the S2 features a closed system (a physical barrier between milk and pump) for extra hygiene. The Spectra S2 Breast Pump is also said to be hospital-grade, great for mums who are looking for an effective, strong pump. 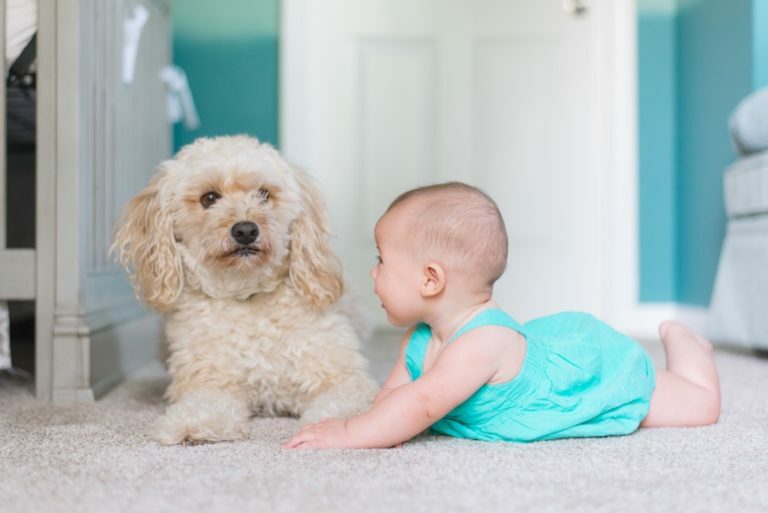 What we love: We love that the Spectra S2 Breast Pump is so quiet. Electric breast pumps tend to be louder than manual ones, making slightly embarrassing to express in the office. With the Spectra S2 Breast Pump, that’s no longer a problem! Mums will also like the digital controls which allow you to set pumping speed and rhythm according to what’s best for your body. The pump also boasts a massage feature which stimulates letdown before expressing. 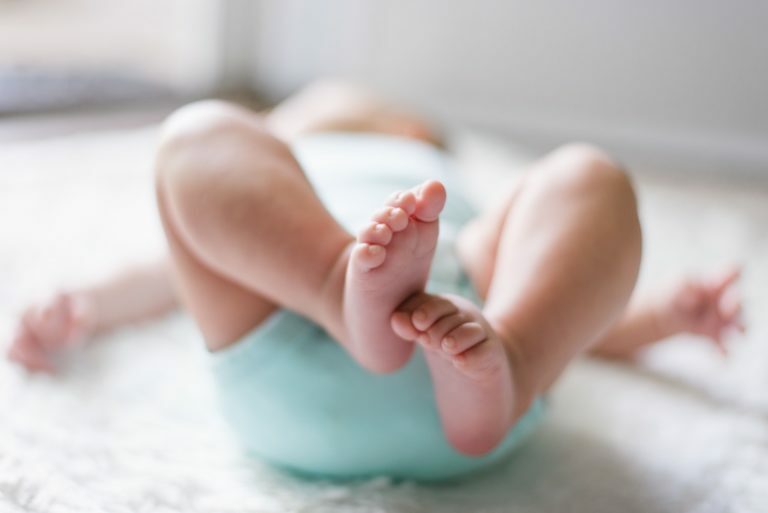 Mums who have difficulty pumping will find it helpful to be able to switch back and forth between both options. The suction power is also adjustable during both modes according to your preferences. There’s also a night light so you can pump with the lights off (without waking the baby!). Considerations: While the Spectra S2 Breast Pump is quiet and powerful, there are some things to take note of. It’s not battery-compatible, so you will have to find a power outlet every time they need to pump. If you’re constantly on the go, this may be a hassle. 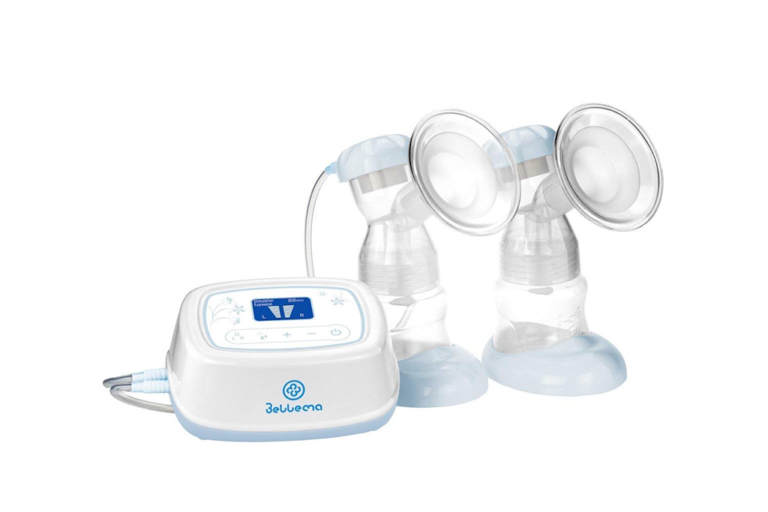 In addition, the Spectra S2 Breast Pump is only compatible with wide-neck bottles, so you will have to buy these if you do not already have them. A few mums have also complained about the duckbill valves falling off halfway while pumping. The Bellema Effective Pro Double Electric Breast Pump is an efficient closed-system pump. With a dual-phase pumping mode, this breast pump mimics natural breastfeeding, with letdown and expression phases. Its specially-designed ‘Pumping Rhythm’ mimics a baby suckling, helping mums to express in the best way possible. What we love: This electric pump’s price point is the one of its best points. While electric breast pumps are efficient, they often are a hefty investment. The Bellema Effective Pro Double Electric Breast Pump is an affordable option! We also like that this pump can be used at both breasts simultaneously – with no suction power reduction. 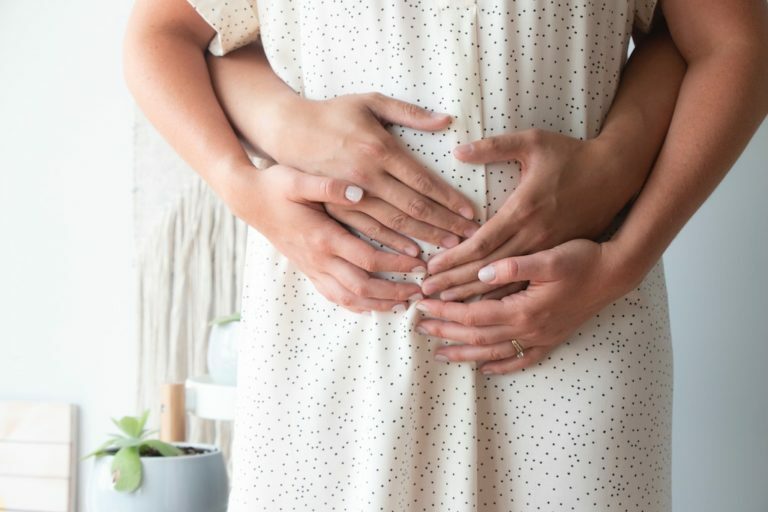 Mums who need to express often will find this feature extremely helpful. This pump also allows you to adjust the speed for each breast, allowing you to express in the most comfortable way for your body. We also love that it can be operated either via battery or a power plug, perfect for mums on the move! 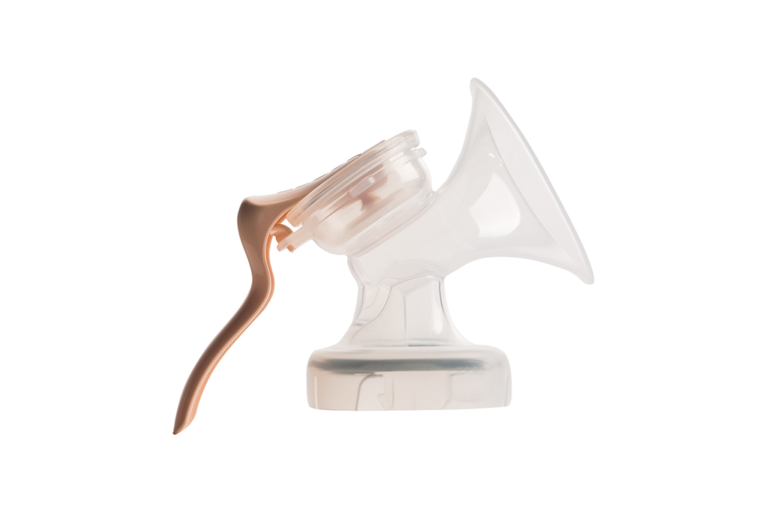 Considerations: While the Bellema Effective Pro Double Electric Breast Pump is more efficient than manual ones, some mums find its suction power lacking. Other users have also complained about breast pumps breaking down after several months of use. If you are looking for an electric pump that can last for the long haul, it may be better to invest in a sturdier one. There are also more parts to the Bellema pump than other electric pumps, which means you will have to spend more time on washing and sterilising. The Medela Freestyle Double Electric Breast Pump is one of the smallest electric pumps on the market. Fitting in the palm of your hand, this small but powerful pump is perfect for mums who express daily. It’s also super portable, making it a great and efficient choice for working mums who need to pump in the workplace. What we love: We absolutely adore how compact this electric breast pump is. While other electric pumps may be bulky, the Medela Freestyle Double Electric Breast Pump is anything but. Its lightweight and portable design makes it a breeze to bring this pump just about anywhere. Despite its compact size, mums have reported that this pump is well-built and powerful. We also like the digital display which allows mums to save time by pumping according to the Memory Function. Finally, we also love that this pump can be operated via a rechargeable battery – no need to hunt for a plug! Considerations: While the Medela Freestyle Double Electric Breast Pump may be compact and discreet, it’s not quiet. While it isn’t that loud, the noise may be a turn off if you need to pump outside of home. It’s also a little slower than other electric pumps, so those who are big on efficiency should go for a more efficient pump. Mums also need to take extra care not to bend over while pumping; we’ve heard that milk may spill from the bottles. We’d also reckon that this pump is relatively costly, and may not be suitable for mums on a budget. Manual breast pumps are great for Mums who are often with their babies (and hence can simply let Baby latch on to breastfeed). They’re lightweight and extremely portable. While some mums have a misconception that manual pumps aren’t “strong enough”, there are mums actually express more milk when pumping manually! With a manual breast pump, you’ll also be in full control of the speed at which you express. It may take some time for you to get the rhythm right – don’t fret, just practice! The Medela Harmony Manual Breast Pump is a great option for mums who mostly breastfeed. Lightweight and easy to use, this manual pump comes with an ergonomic twist handle so your fingers and hands don’t cramp up. 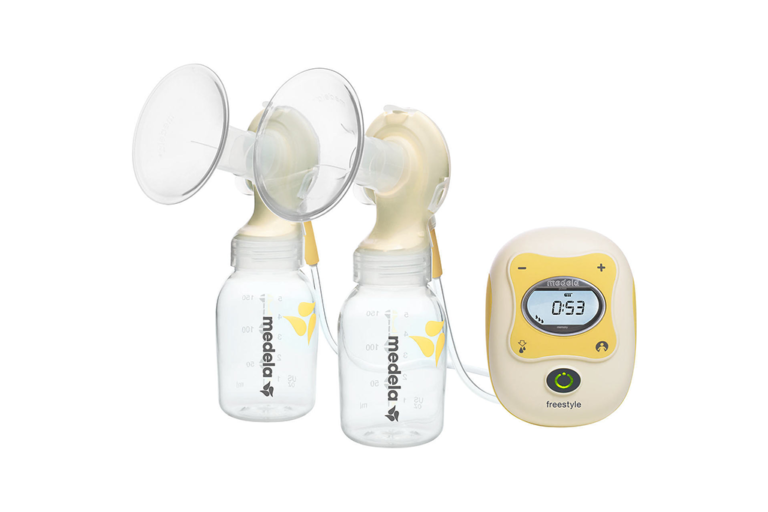 This pump also features Medela’s 2-Phase Expression Technology, mimicking the natural stimulation and expression phases of breastfeeding. What we love: The Medela Harmony Manual Breast Pump’s intuitive design makes it oh-so-easy to use. Assembly is a breeze and we especially like how discreet it is. It’s so quiet, you can pump while Baby’s napping. 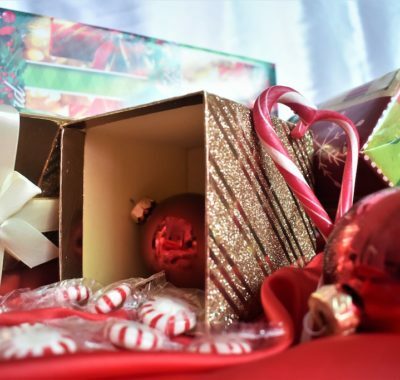 It’s also lightweight and portable; just throw it in a bag and head out the door! 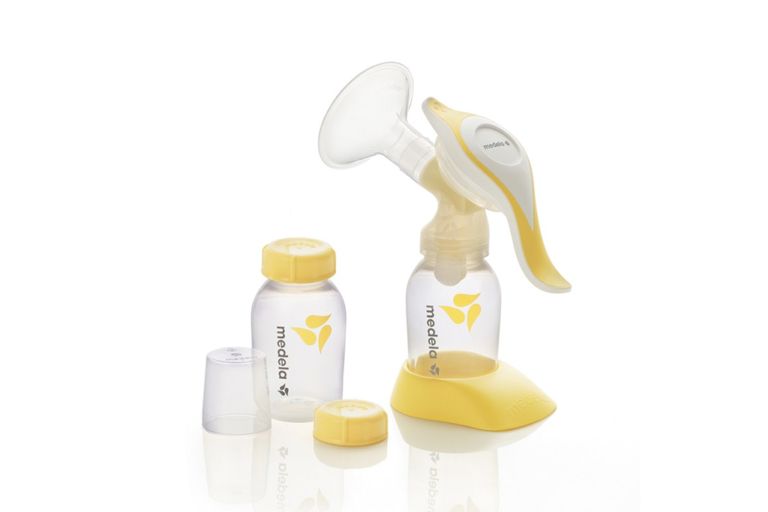 If you’re using other products from Medela, you’ll also love that it’s compatible with the full range. If the standard 24mm shield does not fit you, just choose from the five different shield sizes offered to find one that best suits you. 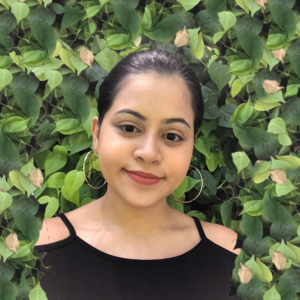 Considerations: While the Medela Harmony Manual Breast Pump is easy to use, it won’t be suitable for mums who need to express often. It can get tiring after pumping for just one session! It’s also a rather slow process, so busy mums might find it inefficient. While most mums give positive reviews of this breast pump, some find that it lacks the suction they desire. Cleaning isn’t too difficult with the Medela Harmony, but extra care needs to be taken as the delicate membranes can break easily! The Philips Avent Manual Breast Pump has long been the go-to breast pump for breastfeeding mums in Singapore. They find this pump an easy-to-use and convenient way to express occasionally. This portable breast pump is also great for on-the-go use. It has few parts and a super intuitive design, making for easy use and clean up! What we love: The Philips Avent Manual Breast Pump scores big points with its “relaxing position” feature. Many breast pumps require mums to lean forward while pumping, and this can be tough on the back, especially after you’ve just given birth. This pump allows you to sit back and relax even while expressing! It’s also ergonomically shaped, so it minimises the chances of your hands cramping while you pump. This manual pump also comes with a massage cushion, making the pumping experience even more pleasant. Busy mums will also love that it has few parts, and is easy to clean and assemble. This manual pump is also discreet and quiet, so you can stealth pump anywhere, anytime! Considerations: While the Philips Avent Manual Breast Pump scores big with portability, it’s not great for working mums. Working mums need to express more in a shorter time, and a manual pump cannot offer this level of efficiency. Mums have also reported slight leakage when using this pump, so do ensure a proper breast-to-pump seal before expressing. Also, some of the milk may collect under the massage cushion — not ideal for mums who wish to save every precious drop! As seen above, Hegen recently released its first electric breast pump. However, if you’re already using Hegen accessories, and prefer a manual pump, they’ve got one too! The Hegen PCTO Manual Breast Pump Module will fit all your other Hegen parts perfectly, ensuring seamless pumping, feeding, and storing. What we love: As with other manual breast pumps, we like that the Hegen PCTO Manual Breast Pump is lightweight and portable. Designed to be compact, you can use it easily with one hand! Mums who like to express one side while breastfeeding will find this feature especially helpful. Considerations: If you don’t fit the standard 24mm breast shield, there aren’t any other options. 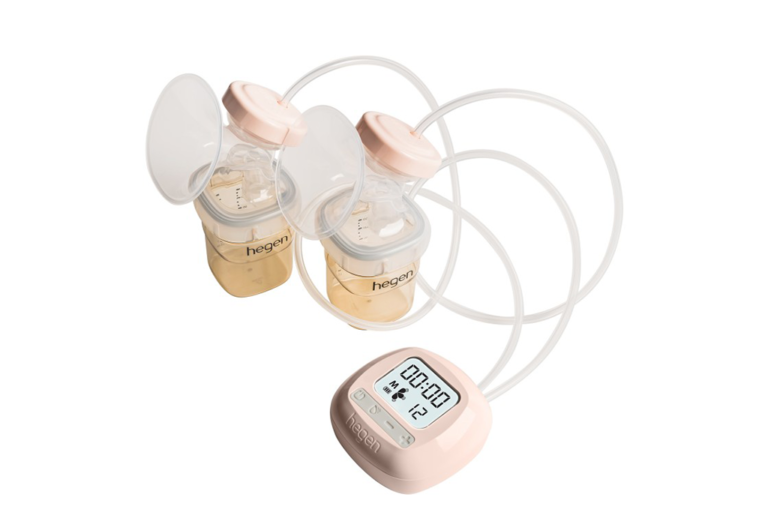 The Hegen PCTO Breast Pump Module also doesn’t come with a bottle, so you’ll have to purchase these items separately, making it one of the costlier manual pumps (especially without a bottle) in the market. Forget large, complicated breast pumps! The Haakaa Manual Breast Pump is the easiest breast pump to date – and it’s effective. Made from 100% medical grade silicone, this one-piece pump is great for Mums who prefer simplicity. Simply attach the silicone pump and let it do all the work! What we love: This breast pump stands out with the fact that it requires zero effort. Simply suction it to your breast, and it’ll do all the work. You don’t even have to repeatedly pump it to draw milk out! Plus, it’s so compact and portable. Toss it in your bag and you’re good to go. We also love that this pump only has one component. Less cleaning is always a plus point! Being made from 100% medical grade silicone, it’s also super soft and comfortable for Mums. Mums looking for more affordable breast pumps will also agree that the Haakaa can’t be beat. Considerations: If you’re looking for a quick, efficient pump – this may not be for you. Some Mums need to squeeze the base of the pump for a little bit before they get a good flow. It’s also said to work better while your baby is suckling on the other breast. Mums have reported that because of its narrow base, milk may spill if you don’t transfer it to a bottle immediately. We know how important breast pumps are to breastfeeding Mums, and getting the right one can be a challenge! With this guide, we hope that you’ll be able to pick the right breast pump for your needs. Be it a manual breast pump or an electric one, it’s important for every mum to buy according to her body’s needs and preferences. Happy shopping!